and the teacher is a foreigner. A scholarly white man is teaching Japanese. He frequently asks questions while reading the textbook. I'll hand over and reply. "It's about salmon pickled in miso." "Well, is salmon boiled with miso?" "It means to lay down miso." there is lighting in the place where the blackboard should be. 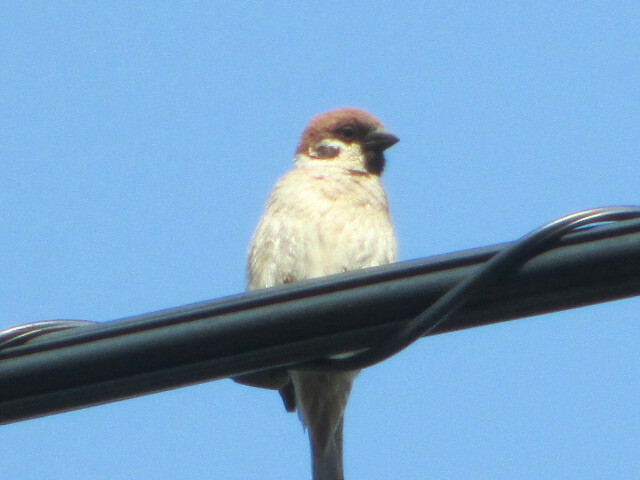 A sparrow is stopping on the fluorescent lamp. When I call attention, the teacher looks back. At the same time, the sparrow flew away somewhere.